This archive holds all posts form December 2010. If you received an e-book reader as a Christmas gift this year, there’s a good chance you’re reading a novel by Stieg Larsson right now. EBook etailer Kobo has published its list of top e-book title sales for the holiday season around the world. And who tops the list everywhere? 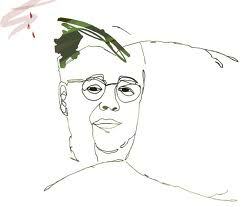 Stieg Larsson. As for me, I spent yesterday watching the movie version of The Girl Who Played With Fire. Stieg rules in multimedia too. This was the week that delicious died. For me and for many others. Delicious was one of the very first social services that I discovered when I became interested in blogging. It was a true pioneer. Delicious was my first working experience of social software that realized the full potential of folksonomy. The genius of delicious was the introduction of the concept that I could attach as many tags to an item as I wanted, ensuring that I could recover that item at a later time by typing in a keyword that was meaningful to me in the context in which I thought of that item. which I found infinitely superior to traditional rigid taxonomies. (If you’re new to the concept, David Weinberger‘s Everything is Miscellaneous provides a great introduction to the opportunity that digitized data provides for us to organize information in ways that is meaningful to ourselves and the people with whom we have a community of interest.) Add to this the ability to share these tags with friends and co-workers and you had a tool that was unlike anything that had come before and instantly useful. In many ways delicious is my online memory. I use it daily. I bookmark items for future reference in blog posts, in presentations, and when trying to make sense of the world. When I saw the news of its impending demise, I realized that I couldn’t lose the data I’d collected in Delicious. 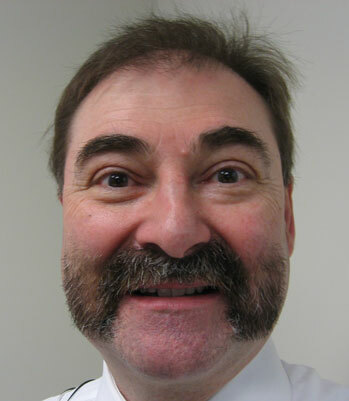 So I looked for an alternative. I wasn’t alone. Twitter and the blogosphere were full of messages about delicious alternatives. If the sheer volume of discussion is any indicator, delicious lost a huge number of users when the news of its impending demise spread. Yahoo tried to put the genie back in the bottle with a post saying that the memo had been misinterpreted and that indeed Yahoo would find a new owner for delicious instead of shutting it down. Sadly, I think the damage had already been done and loyal delicious users like myself discovered an alternative that actually offered many better features over a much loved service that Yahoo had allowed to languish and become a laggard instead of an innovator. Here’s some news that I hope you’ll like: C.C. Chapman, co-author with Ann Handley, of Content Rules, is making a cross country tour of Third Tuesdays in January. C.C. will be at Third Tuesday Montreal on January 17, Third Tuesday Toronto on January 18, Third Tuesday Calgary on January 19 and Third Tuesday Vancouver on January 20. Your brand is a publisher now. That’s a frightening notion, perhaps, but it’s also a tremendous opportunity. Blogs, YouTube, Facebook, Twitter, and other online platforms are giving organizations like yours an unprecedented opportunity to engage directly with your customers. So instead of creating awareness about your company or your brand solely the old-school way (through annoying people with advertising, or bugging them with direct mail, or interrupting them with whatever), you now have a rich and awesome alternative. of web content, blog posts, videos, webinars, and web sites that will attract customers to you, rather than you chasing after them. What’s more, you can entice your customers to share those stories with each other, all across the web. Produce good stuff, and your customers will come to you. Produce great stuff, and your customers will share your story for you: Content is king! Content rules! And here’s some more good news. When I told the folks at Kobo that we’d be having C.C. as our first speaker of the New Year, they made a point of ensuring that we can buy Content Rules as an ebook from Kobo. I love Kobo because, unlike Amazon, the books are available in the open ePub format and I can read them in the reader of my choice. 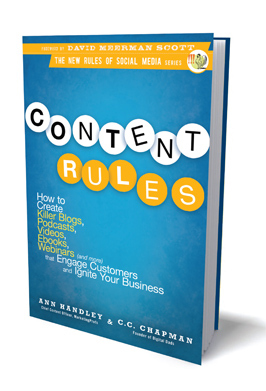 So, if you’re planning to attend, hop over to Kobo and buy Content Rules as an eBook. Or, if you still love the feel of bound paper, you can order a physical of Content Rules from Chapters. Either way, reading the book before you meet C.C. will add to your experience. 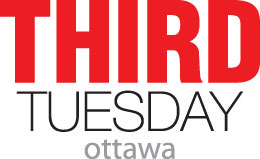 Finally, as always, I want to thank the Third Tuesday sponsors – CNW Group, Rogers Communications, Radian6 and Fairmont Hotels and Resorts. 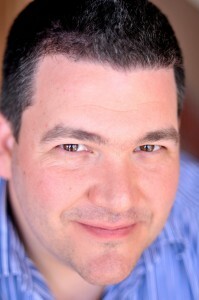 Their sponsorship for Third Tuesday makes it possible for us to bring great speakers like C.C. not only to Toronto, but to Third Tuesdays across the country. Thank you CNW, Rogers, Radian6 and Fairmont for helping us to build a vibrant community of social media practitioners.